Low cost Poly Plugs for tubes are ideal for many retail package applications. When shelf room is not abundant and hanging is not an option, plugging a round tube with a flat-bottom Poly Plug will increase your space. The flat surface supports the standing or stacking of the tubes. 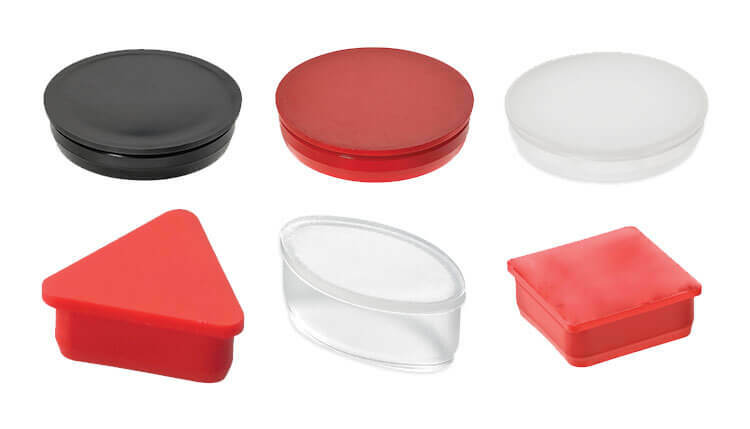 LDPE plastic tube plugs are stocked in black, red and natural. Custom colors are available. Eight Standard Cap & Plug Colors Available.